With millions of companies trying to claw their way to the top of the Google search engine page, it’s getting harder and harder for businesses to get noticed and increase the number of visitors to their websites. The competitiveness can be disheartening. Luckily, there are solutions that will get your business’s website noticed. Strategies and techniques can be implemented to increase your chances of climbing the ranks and allow for more people to see your website. These techniques come in the forms of search engine marketing and search engine optimization. Search engine marketing is one of the most efficient ways to grow your business in the increasing growing and competitive marketplace. Most people find out about business and their products through search engines. You should apply search engine marketing strategies to increase the likelihood that your website will be seen. If you’re wondering “What is search engine marketing?” then we’re here to help! 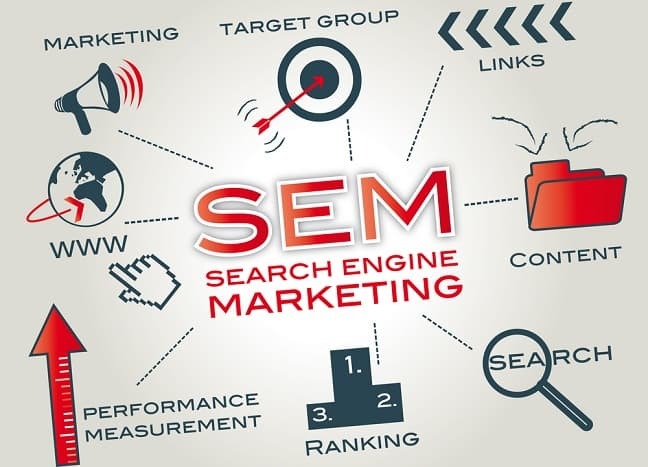 Search Engine Marketing, often referred to as just SEM, is the use of marketing practices that use paid advertisements that appear on search engine pages. Common terms associated with SEM include paid search advertisements (or just paid search ads), pay-per-click, pay-per-call (some ads are charged by the number of clicks that results in calls to mobile phones), cost-per-click, and cost-per-thousand impressions. The basic rundown of how search engine marketing works is that advertisers bid on keywords that users would search for on search engines such as Bing, Google, and Yahoo. This gives advertisers the chance for their ads to appear alongside ranked links to the search query. Keywords are the key to success with search engine marketing. Before deciding on the keywords to use in your social media campaigns, extensive research must be done to find keywords that are relevant to your company and prospective customers. You’ll want to do the same with any negative terms. This way you what words are irrelevant to your website. The whole method is known as search intent, which is the likelihood that a potential customer will make a purchase or complete another desired action after searching for a specific word. Keywords work in conjunction with other aspects of SEM, such as account structure and ad auctions, to achieve your desired result of appearing on a search. Is There a Difference Between SEO and SEM? Now that we know SEM is, you’re probably wondering what SEO, a popular way of climbing the ranks of a search engine, has to do with it. SEO is search engine optimization and is a tool used to get websites listed higher on the search engine’s result page. Search engine marketing use to be an umbrella that encompasses not only the aspects of SEM but of SEO too. Now when people talk about search engine marketing they usually are only referring to the practices of SEM, usually calling them paid searches. SEO is about altering your website to optimize it, which results in a better ranking when key terms are searched. SEM is buying that top spot on a search engine and isn’t about rankings. Not all people see them as two different techniques though. They both involving utilizing keywords to increase visibility so many people consider SEO apart of the techniques that companies use in SEM. The distinction between the two coming from how one is paid for and the other is a natural way to improve your ratings. SEM is considered the more important source of getting a website noticed due to its targeted intent. The simplest way to understand how SEM works is to understand that its intent is to get your website in the top spot of search engine results where the advertisements are located. You are paying Google and Bing every time your link is clicked by a potential customer. Pay-per-click is only a small part of SEM though because the key is to not only get web users to click on your paid ad but to get them to buy from you. Without someone purchasing something when they visit, you’ll still have to pay Google: AdWords or Bing Ads for the click and you aren’t making any revenue. If your website isn’t enticing enough to get potential customers to buy, then paid searches can cause you to lose money quickly. SEM is a targeted process. If you use it, you’ll know that your ads are being seen by people who are interested in whatever product or services you offer. While SEM may seem like an easy fix since you’re guaranteed a prime spot on the results page, you need to remember that your website must turn the clicks into income so you cannot slack on the quality of the content on your website. A large part of search engine marketing takes part away from the paid ad space. To increase the likelihood of someone requesting your service or buying your product, you have to mold your website into an appealing source that potential customers can rely on. Here are a few tips to do that. 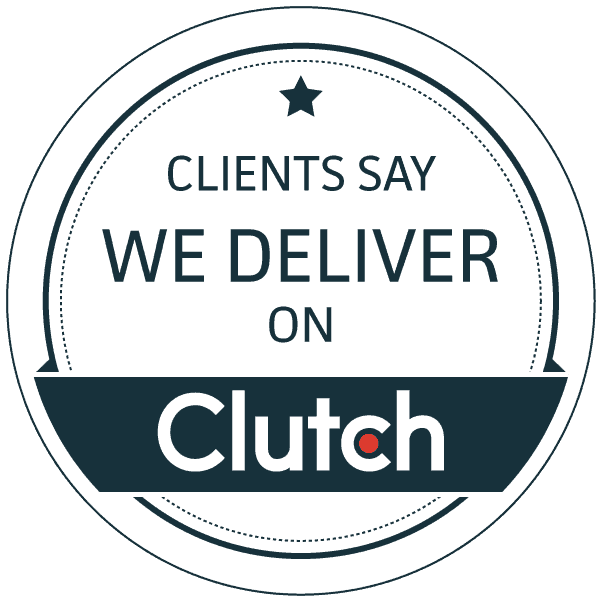 ● Have a clear objective and call to action placed around your website. You must decide on what your intent for the customers is and guide them to call, subscribe, buy, etc. Your call to action should attract readers to your website, and you can do that from writing from the customer’s perspective that way it targets the type of web users you want visiting your site. ● Exclude negative keywords and build landing pages. Avoiding words that have no relevance to your services eliminates the chances that the link will appear to people who have no interest in your services. Landing pages are a great to inform potential customers about what you have to offer and can provide relevant content. They can establish a trust between you and the web user, making it more likely they’ll buy from you. ● Consider going mobile. Most people search from their phones and companies like Google are beginning to focus more and more on the mobile market. To keep up with the times, you should ensure that your website is mobile friendly. Not being optimized for mobile devices could lose you potential customers. Is SEM Right for Your Needs? Search engine marketing can help business both large and small achieve their goals. The proper use of SEM can increase your sales tremendously. If you’re not yet an established business that can get visibility by just word of mouth then SEM can help with needs by advertising to get the word out. While SEO is low-cost, SEM gets your website to appear to a larger audience. 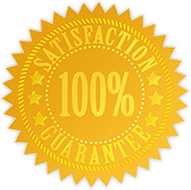 The investment will give much higher returns than simple SEO. The utilization of keywords can really help out businesses. The more commonly used keywords are going to be the most expensive keywords but you may not need the most common words to target your audience. If you want someone to visit your restaurant then the keyword you’d most commonly think of using is “restaurant” but that could get you lost in the shuffle so be sure to use it more thoughtfully and choose keywords that are unique to you. SEM has the opportunity to put your website as the first result that potential customers see when they search keywords. You receive high visibility all day, every day and that visibility can increase if more and more people provide traffic to your website. The continued visibility can establish you as a reputable source of your niche interests. This respectability can allow you to grow a brand and increase sales at a steady pace as more people begin to trust you over competitors in your industry. Using SEM in conjunction with SEO can help your business gain visibility more than either could alone. While both can be used to draw in more traffic, the content of your website should make them want to stay. These techniques combined with worthwhile content can convert web browsers into paying, and returning, customers. Don’t just invest in the visibility that SEM can provide, invest in yourself. If you invest in a website for your business, you should ensure that you’re receiving steady and continuous traffic to it during all times. It’s nearly impossible for business owners to do alone. There are many marketing firms out there that specialize not only in SEO and SEM but your niche interests. While you may not quite understand what search engine marketing is, the experts do and can assist you on your way. At Phoenix SEO Lab, they work with people in the home and garden industry to ensure their services are being seen. They use search engine marketing techniques and SEO to draw in new customers. Their other services help with social media and online reputation management. For those interested, check out their website and contact them today to see how they can help your business become more visible.